A Republican lawmaker in New York who has a record of voting against medical marijuana legalization has been arrested and charged with possession of marijuana. State police said that a suspicious odor was noticed in Assemblyman Steve Katz’s vehicle when they pulled him over for driving around 80 mph in a 75 mph zone at around 10 a.m. Thursday morning. “After noting the odor of marijuana, a New York State Trooper found Katz in possession of a small bag of marijuana,” a statement from state police said, according to the Times Union. Katz was given an appearance ticket for having less than 25 grams and is scheduled to appear in Coeymans Town Court on March 8. He also faces charges for speeding. 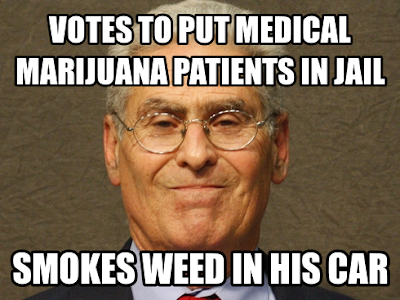 Last year, the assemblyman voted against a bill that would have legalized medical marijuana in New York. Katz’ office said that he was expected to release a statement later on Friday.